Hydrangeas are a favorite plant for many a gardener. This includes myself, as the big, romantic blooms of these lush-leafed plants have a most decadent presence in the garden. Since moving to the Boise area, I’ve struggled with getting more than one hydrangea established in my garden. Although these shrubs are noted to be hardy for the local climate (zone 6) and seem to have pretty simple growing requirements, I’ve not enjoyed easy success. Not ready to give up on these classic beauties, I decided to consult with someone who I suspected may very well be able to share some secrets for successfully growing these shrubs in the Intermountain West. 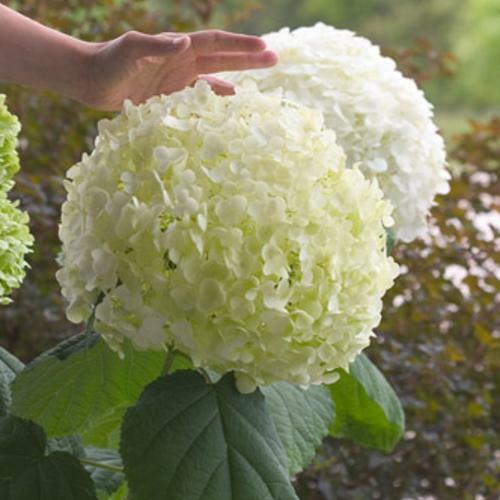 Mr. Erik Hansen was the guy I had in mind as he lives locally and represents Bailey Nurseries, one of the largest nursery growers and breeders in the U.S. and the creators of the Endless Summer® collection of mophead hydrangeas. My chat with Mr. Hansen was as expected – very enlightening. I learned about four different types that can be grown in our area and the different growing requirements for each. I even learned a few tricks for getting the most out of the beautiful blooms. Here are the highlights of our conversation. 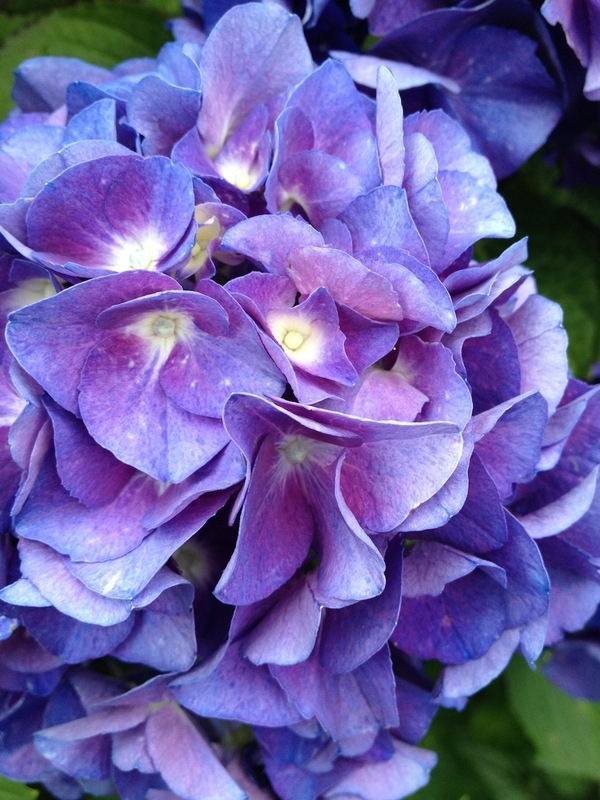 Q. I love hydrangea macrophylla but what is the secret for getting it to bloom the year after you plant it? A. Overwintering protection. Mopheads like to wake up early in the spring and this is a problem in our climate. When our air and soil temperatures prematurely warm in early spring, mopheads begin growing. But when the cold nights with freezing temperatures return, all of the budwood, where the first set of flowers comes from, is burned off. And as this scenario is repeated, more budwood is damaged and then the only new growth comes from the bottom of the plant. This basal growth does not have enough time to produce flowers before our growing season ends. This is why many times people are disappointed that their mopheads didn’t bloom. 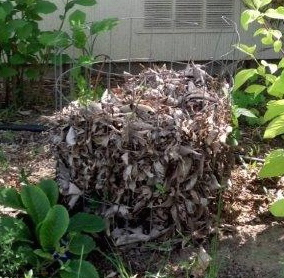 To prevent this, provide significant winter protection that helps keep these hydrangeas from waking up too early. In November or December, fashion a cylindrical cage of poultry wire or similar material around the plant. Fill it with something light weight, such as leaves or medium-size mulch. The entire hydrangea should be covered. This keeps the temperature more constant and delays the hydrangea from starting to grow too early. And if it does send out new growth, the material in the cage provides first level protection against frost. Don’t take the cage off until early May when frost is unlikely. Q. Okay, got it! Now how about changing the color of the blooms, is that possible even in our alkaline soil? A. Yes, mopheads planted in the ground here will produce pinkish-red blooms. If you want to change the color towards blue, try to reduce the pH level of the soil. This can be done by adding aluminum sulfate or elemental sulfur to the soil around the plant. It must be added about every 30 days from early spring, before new growth begins, throughout the growing season. I’ve seen people achieve a purplish color in blooms but that is about as ” blue” as I’ve seen locally. It is easier to get the results you are looking for by growing a mophead in a container. They do well in these environments and you can completely control the soil make-up within a pot. Q. 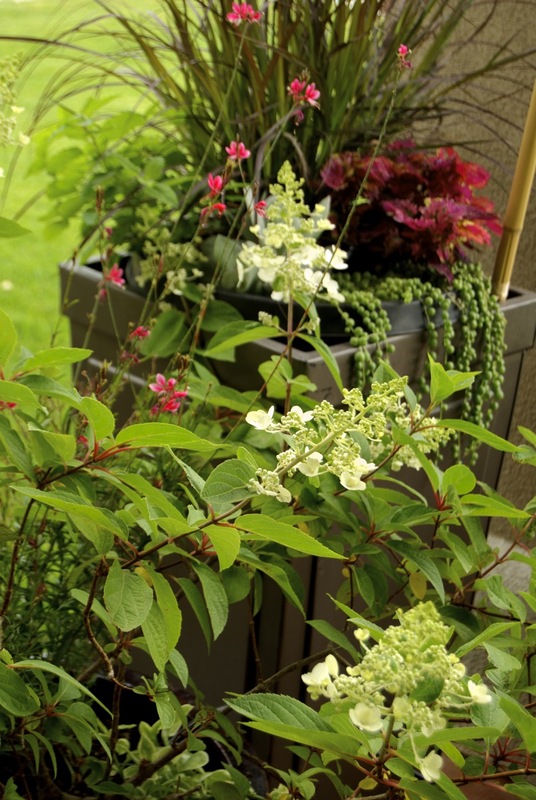 A container sounds like a good idea… what about fertilizer and sun/shade exposure? I’ve heard full shade is not a good idea. A. Mopheads are food lovers so fertilize every 30 days from spring until August. They need approximately 5-6 hours of sun or dappled light (best) to flower, so full shade is not recommended. The plant will become leggy with small or no blooms in full shade. Of course, they do need protection from our hot afternoon sun to look their best, so try to provide some shade by early-mid afternoon. Q. With their big blooms and leaves are they water lovers too? A. Yes, mopheads like to live in moist soil. That said, do not overwater, creating soggy, non-draining conditions. This causes leaves to turn yellow and they can die. Another thing to know is this plant can suffer from mid-day wilt in the way squash or cucumbers do on hot summer days. Even if the soil is moist, hot temperatures can cause the big leaves to lose water faster than the roots can take it up, to replace it. If the leaves wilt in summer, don’t compensate by adding more water. Too much water can create conditions for root rot. Instead, make sure soil is moist and look at plants in the evening or next morning to see if they are reinvigorated. Mid-day wilting during the hottest part of the summer is not something to cause concern. Q. So don’t go crazy with water…what are the best varieties for our climate given our hot summers? A. There are several that do well, if properly cared for. Hydrangea ‘Bloomstruck’ is a heavy bloomer with very good heat tolerance. Hydrangea ‘Twist and Shout’, ‘Endless Summer’ and ‘Blushing Bride’ are solid choices as well. Q. Okay, so what about some other types of hydrangeas that will grow well in our area… are there any that are easier to care for? A. Yes, there are three other popular types that do very well and actually need less specialized care because they can handle dryer conditions and a bit more sun. They are hydrangea paniculata (panicle hydrangea), hydrangea arborescens (smooth hydrangea) and hydrangea quercifolia (oak leaf hydrangea). Q. 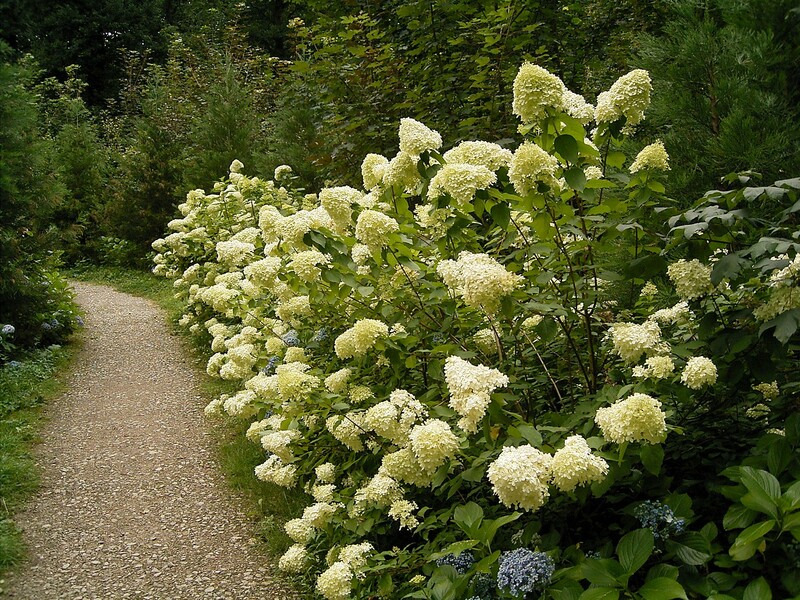 Tell me about hydrangea paniculata. 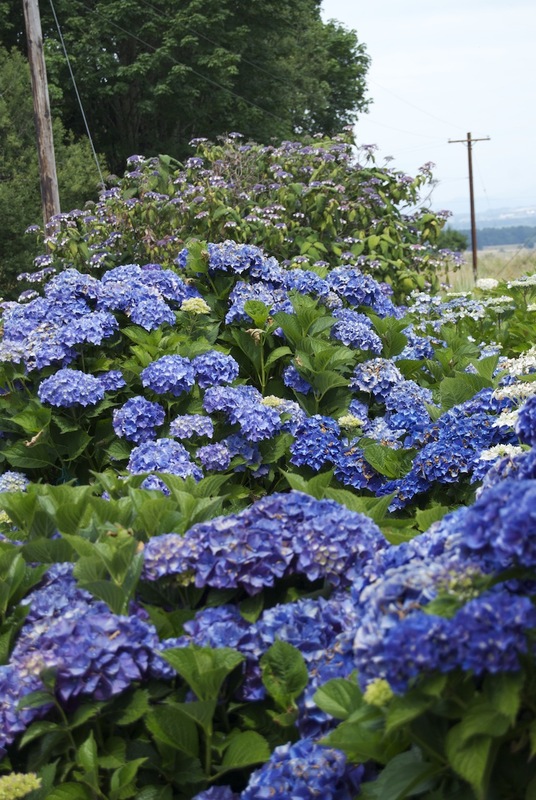 This shrub requires a little less moisture than hydrangea macrophylla, although it still needs regular watering and is not considered drought tolerant! It likes a rich, well-draining soil so add compost each year around the plant and fertilize in the spring. It needs 5 hours of sun for best bloom and shade after 3-4 p.m. is best. Q. 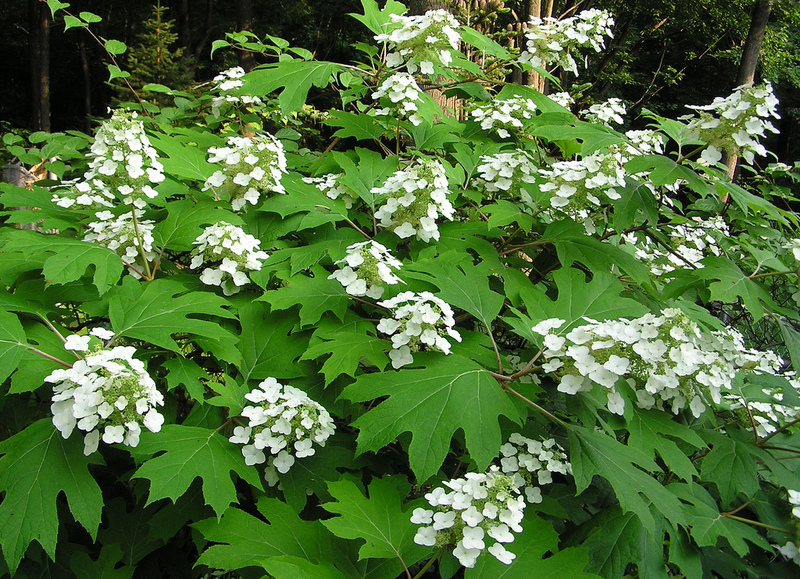 What about oak leaf hydrangea, why is it called this? 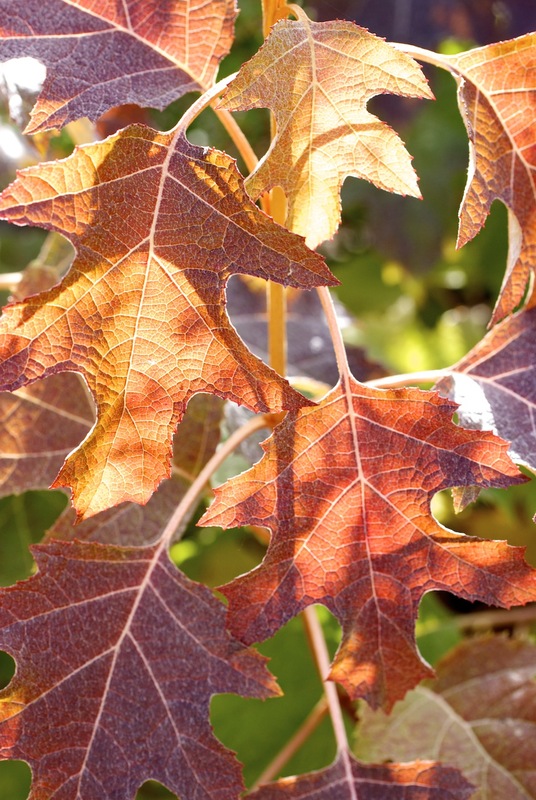 A. Hydrangea quercifolia gets its name from the shape of the its big, beautiful leaves. They turn brilliant shades of red, orange, gold, and burgundy in the fall along with the blooms that take on rich hues of the season. The blooms start out white and are considered either single blossom or double blossom types. Q. Okay, and last but not least, what does hydrangea arborescens offer? To all that made it this far, hope you learned something about growing this plant that you didn’t already know. And if living locally, give a hydrangea a try if you have an appropriate spot. It can become a spectacular favorite! Now’s The Time For An Edible Garden Party! I love hydrangeas, so I started out with Hydrangea paniculata,’ Limelight’. It is a beautiful plant that does very well in my zone 4 that has late freezes and dry summer conditions. It has never failed to bloom. It is planted in a large container with all day sun. 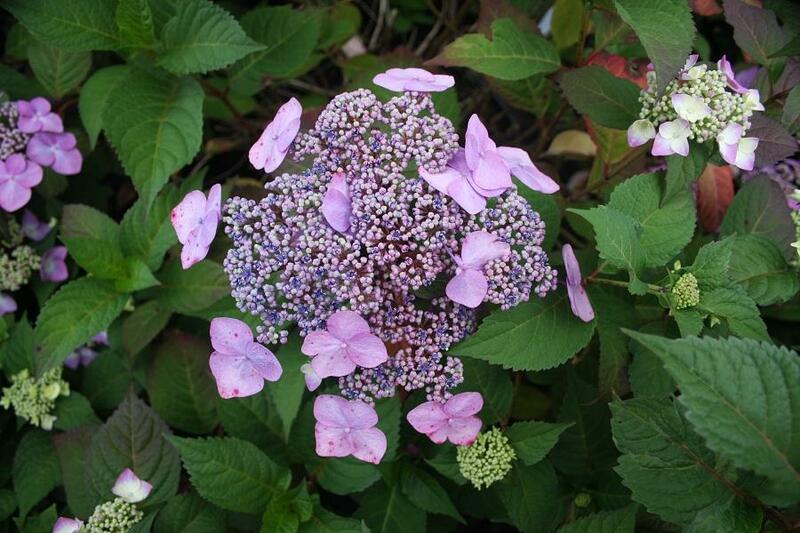 Last summer I purchased a Hydrangea macrophylla, ‘Bailday’ I couldn’t reject, it was so pretty. This spring with our surge of warm weather in Feb and March, it started growing, even though I had it covered with burlap it froze in early April with a huge freeze we experienced here in my area. I thought it killed it, but I see now it has new growth from the bottom, which means I won’t have any blooms, but I will try the other method mentioned in overwintering them and see how that works. 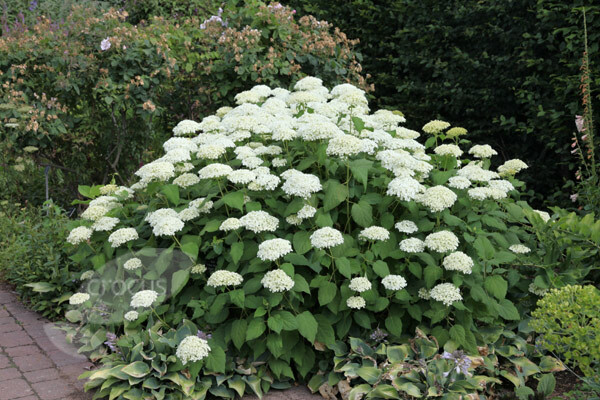 I also see a in a gardening magazine a Hydrangea paniculata, ‘Fire Light’, it looks beautiful and hardy, so hopefully I can find it this spring to plant. Thank you! 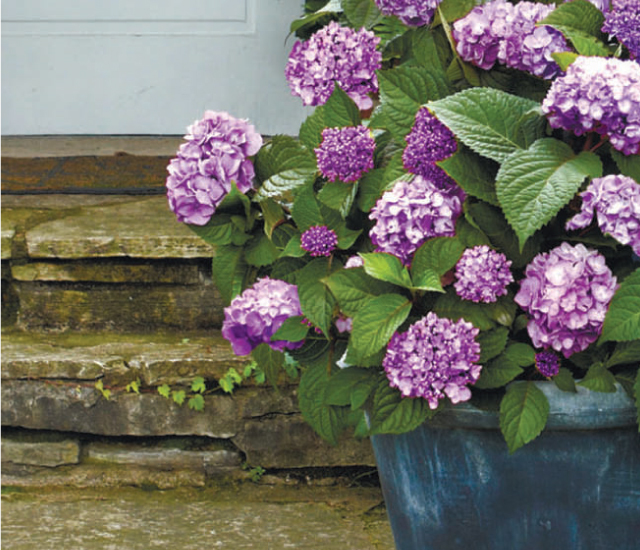 Great info since our yard is Hydrangea dominant and we just hope for the best each year! What a great amount of info…so much to take away even if we don’t live in the intermountain west. I do grow ‘Annabelle’ but of course conditions here are very different. I’ve given up growing hydrangea but only because I don’t have the right light conditions for them. When I lived in SC I had a huge row of them along the back of my house. i do love them and hope they grow well for you. Good post! I should be wrapping my hydrangea obviously. Thanks. I love hydrangeas especially the blue ones. I’ll miss seeing them when we move south to Florida.